Oh, what a summer we had! Looking back a few months ago, when we were going through a difficult period of adjustments and updates across many of our projects, I once again realised the major overhaul we undertook when deciding to unify several programmes under the Field Project structure. I have to say, I am happy to have been able to pull this off! All things considered, I think even though the summer months presented us with many challenges, we have continued our support and assistance to many people who are facing difficult times to manage life by themselves. And through the process, I also think the many visitors who came to Smiles were not only impressed, but also supportive and quite a number of them decided to get even more involved, on a regular basis. For this month, I have written a general report on several activities within the Field Project, so please read through it all to have a good understanding of what we did these past months. Particularly if you did not have the chance to come on a Mission Trip this season. To start with, I was personally out on the field most days over the summer. 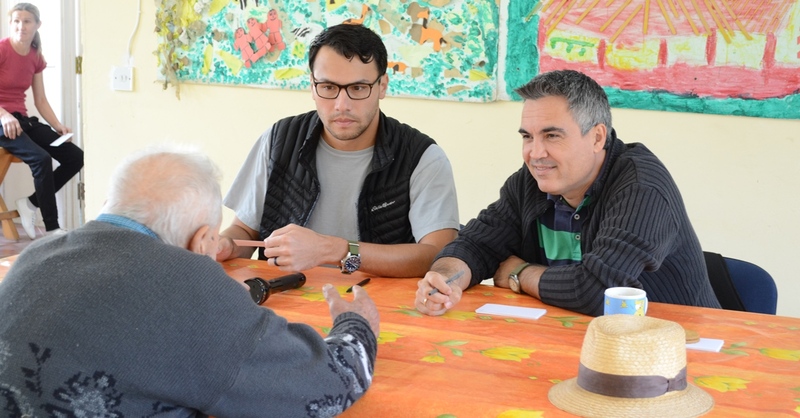 Often part of Field visits or a COP meeting with children, possibly an Elderly Lunch or the recent Medical clinics. 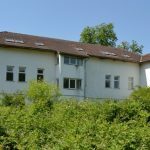 We also had a seminary with Psychologists in various places and of course there were many office and other responsibilities that needed addressing. Basically – I was out somewhere all the time! Very little office time, but I was very happy to spend more time out with people! This led to long days and quite often, by the end of it, I was exhausted …. but happy. That is quite a nice combination of factors I would say! 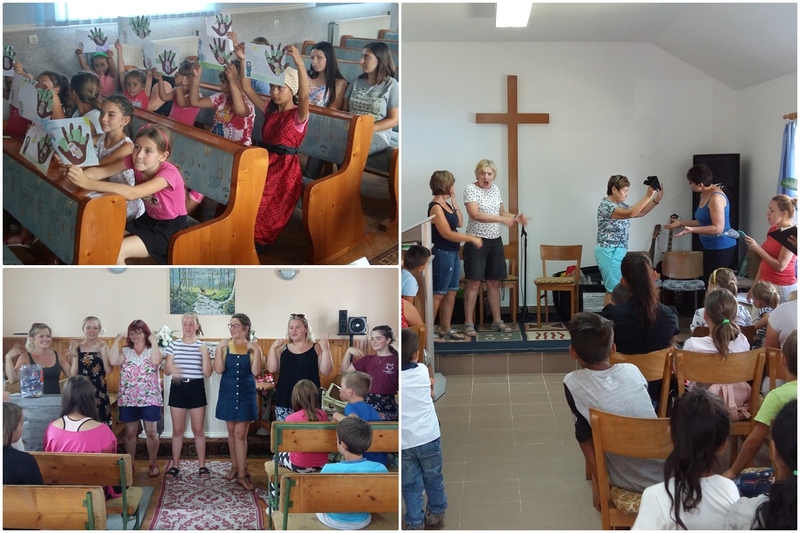 The Children’s Outreach Programme provided again some wonderful opportunities to meet children from many villages across Bihor County. 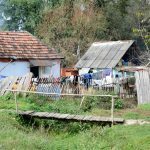 We visited places like Tasad, Livada, Varciorog, Salacea, Osand, Dicanesti – these names will not tell you much of course, but this is the point: they are all small towns that few people visit and where even fewer will actually do something for the people living there. The kids were invited to the COP meetings for generally two consecutive days, as we tried to combine both having fun with having solid Bible lessons. And this approach worked great throughout the summer and we will probably keep the same format for the future. My thanks to those that were part of our programmes. 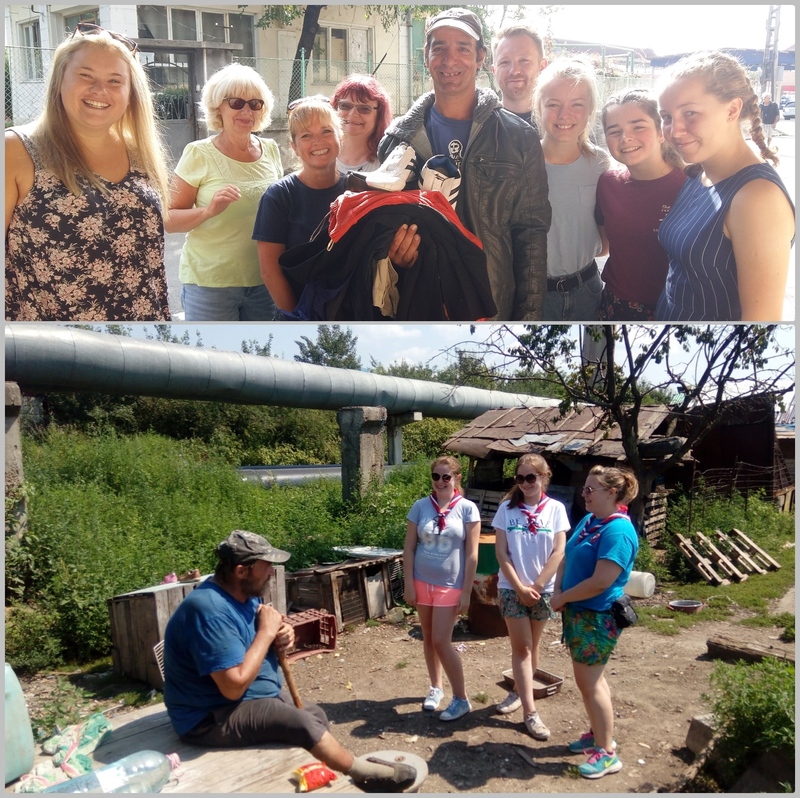 We had mission trips from the UK and America that were not too afraid of playing a role in our drama, or to get wet just to prove how water balloon games work! Thanks guys. This season we all learned about Zacchaeus and how much he wanted to see Jesus. There is of course a very obvious lesson – even if we are small, our dreams can be big. And just like in his case, we might actually get the favour and not only see Jesus, but actually have him meet with us and spend time with us, just like he did with Zacchaeus. And there is another lesson, maybe not so obvious but equally important – it was only after meeting with Jesus that Zacchaeus became a very generous and just person. This should happen to us too! Thankfully, the Kids understood! Another major activity through the summer was of course the implementation of the Field Project structure, as planned earlier in the year. Once the plan was made, which was a good plan, we wanted to apply it. The first serious ‘bump’ was that City Social Services did not manage to do their part in our common agreement to work with the homeless people. The plan was that Smiles would do various activities with people from the streets, teach them some new skills and abilities, give them a little meaningful practical work to do, help them become more independent and self-sustainable. And we were so keen on doing that, but unfortunately, the Mayor Office in Oradea had some difficulties in getting the programme licensed and because of that some serious delays occurred. The State continue to work on their accreditation and I anticipate we’ll be able to start some activities in our Container Village this autumn, as the many homeless people need and want our involvement without doubt. Visiting new and old families was as exciting as always. I had the chance to go out into the unknown and meet with various families and individuals who were asking for our support. Sure enough, many were genuine cases of need that we are happy to look at helping them. But some were just out for trying easy-options! 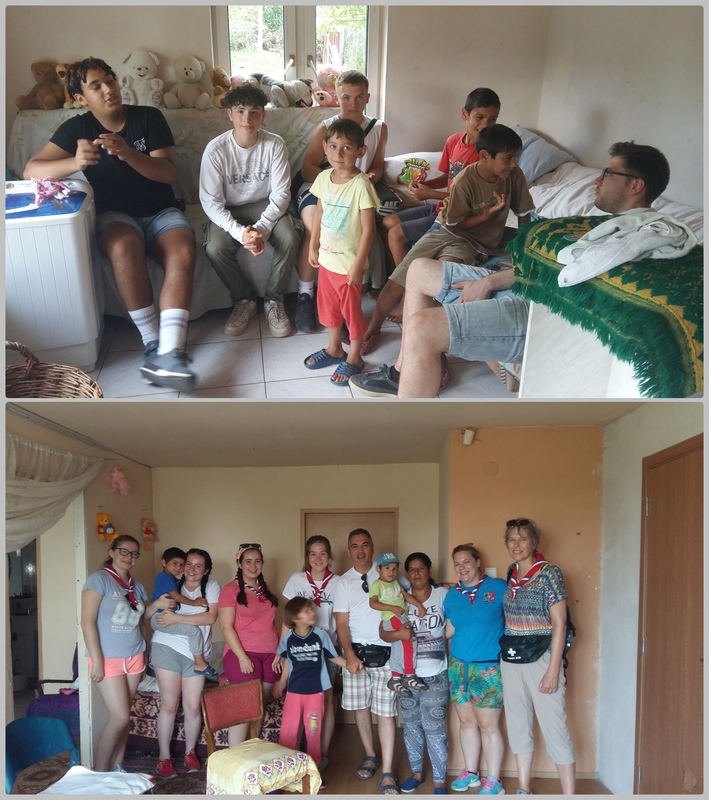 On one of the Field Project visits I took with me a team of visitors and we went out to see how we can help a family that had called us as they were desperate for help. We arrived in the location and much to our amazement, there was a two-storey house, unfinished, but impressively big. Once we sat down and explained the lady that she does not qualify for being on our support list, given what she had there, she understood. But still took the chance to ask if it was possible for her to have one litre of oil and maybe some sugar. Full credit for trying! But we have encountered many real, difficult situations also. 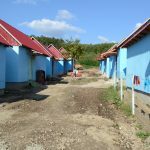 I found a small Gypsy community in one of the villages and was shocked with their living conditions. The woman I talked with was quite smart and surprisingly able to grasp the reality and she was very willing to do something for her community, but really had no idea what she could do. So, she called me. And yes, we are looking at getting involved there; there are not a large number of families, maybe five altogether, with about 15-20 children, but they would need help for sure. I will keep you updated on this. 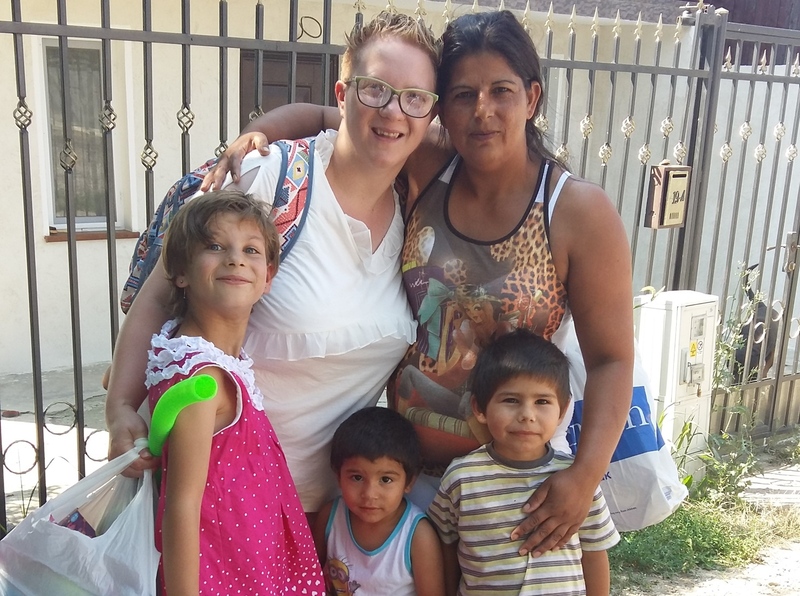 In Oradea, we continued to be there for homeless people. By their nature, these groups move quite a lot, except for two or three families that are more static. But I found out there were more groups in the area of the river, and I’ve met some of the people there. The old repeating story – they are just regular people that got into trouble and before they realised it, they lost their house, their families, their future. And sadly, their hope. And here we are trying to restore that, or at least the best we can. At EHU, we had also some interesting and impressive situations. One of the ladies we sheltered for a while found out about us by a Godly intervention and the fact that we could be of support to her through a very complicated time in her life was a very inspiring and moving experience. 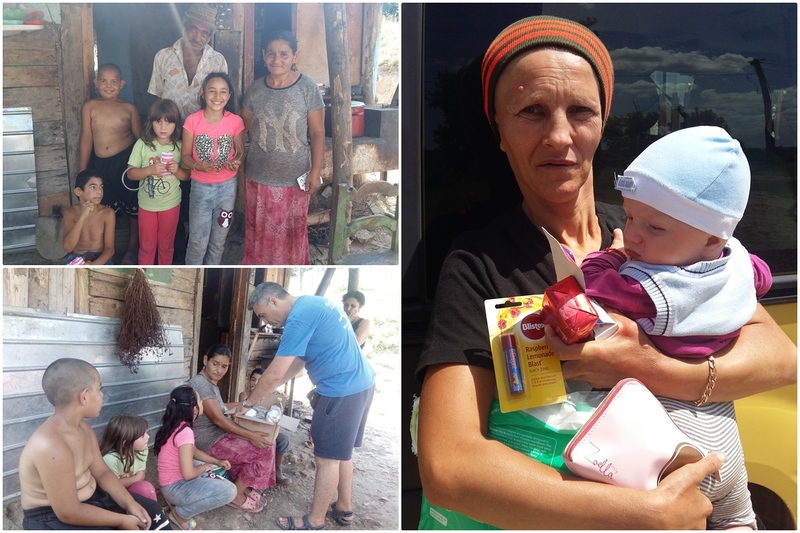 Many mission trip visitors that were here with us that week were amazed at how God worked through their singing and Christian fellowship in Dezna to enable this woman to hear about what Smiles could do for her… Quite a story! There were two special opportunities, during the summer, to go out in the communities and help fellow charities and people in some very special ways. First was by having a team of Psychologists from America, the Divine Mercy University, led by Dr. Ben Keyes, a long-time friend of the Smiles Foundation. The team comprised of graduates and students, as well as professors. They came over in their professional capacities for two weeks, so every day meant a new place to visit and to assist. There were several presentations for students in Oradea University, social workers from four private charities, specialists from State Social Services in Oradea, for children carers, for parents of autistic children and for doctors and psychologists in the hospitals. A very demanding time, but equally very rewarding and productive. I was happy to be of support for these professionals coming to do their work, free of charge. The second was having Dr Jim Watts and his team in Romania, with Smiles again. He is an Eye care specialist from Florida, United States who comes here to provide people with glasses and other eye care, which he has done for many years now. He loves Romania and he enjoys going out and meeting people, examining them and providing them with glasses and medication as needed. Dr Jim always says he wants to come back again and again because he sees Jesus’ eyes in so many places – and more definitely we saw Jesus’ eyes in his eyes, when talking and encouraging people. There were of course many others with him, that I truly enjoyed meeting – all such wonderful people! I need to close now, but as you can see, there was so many activities we managed this summer. It was indeed a great time with Mission Trip visitors while doing our regular work and I think the work that Smiles does has great potential to develop and grow even more. Not only the Residential projects that you know of very well, but all the other activities on the Field… all Great stuff! I am thankful I can bring my little contribution to what so many people are doing together: showing love to those that need it so badly in Romania! May God bless you and keep you well! As always, I’ll be very happy to reply to your emails, as soon as I can. Thank you for writing and encouraging us in so many ways! And thank you for being a blessing yourselves for people in need!